Ice hockey is one of the nation’s most popular sports, it’s only natural that the game should have found its way into the realm of video games. And for a long time, the NHL Hockey games by EA Sports reigned supreme by using the advanced technology of gaming consoles. 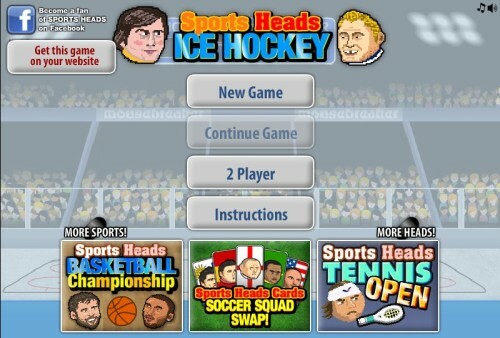 However, with the advent of mobile technology, there’s now a great range of ice hockey games to play online, and here are some of the best. 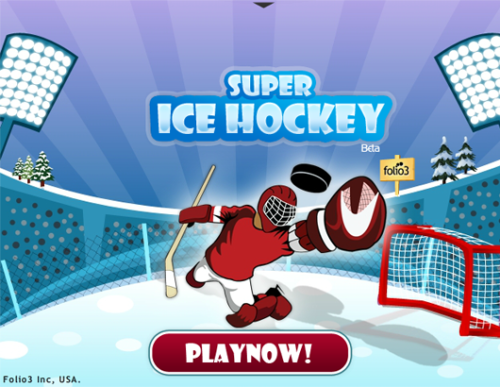 The major sports television network ESPN has recently been diversifying its coverage of sporting events with its ESPN Arcade site, and Super Ice Hockey is its latest addition. 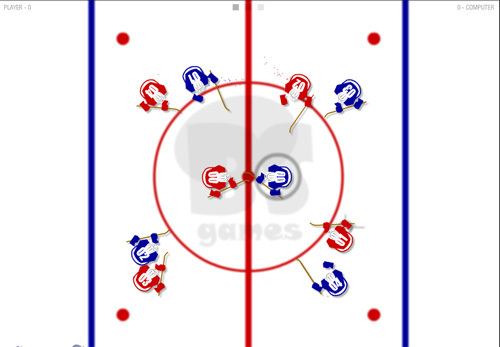 This offers a fun and instantly playable game of ice hockey with practice, championship and challenge levels to keep even the most ardent fan amused. Although the gameplay can be slightly infuriating, it offers relatively smooth graphics and easy controls to provide a good few hours of ice hockey entertainment. The free online games site Mousebreaker has certainly been living up to its name with a vast range of games. Sport Heads: Ice Hockey offers fresh twist on the traditional birds-eye-view hockey viewpoint by providing a comical side view of two cartoon characters locked in hockey battle. Whilst the gameplay deviates too far from the hockey traditions to be considered a true representation of the sport, the vast array of fun power-ups and bonuses are a nice touch. In a similar way, the ice hockey slots game at Coral uses a similar ice hockey aesthetic to add a little sporting appeal to the traditional casino game format. Whilst it may not be the most modest of ice hockey titles, Best Hockey Game on the Addicting Games website does promise to offer all of the action and violence that you’d expect from a top league hockey game. Although the graphics are a little simplistic, the gameplay is smooth enough to keep you entertained, and the unexpected sight of seeing your players spontaneously launch into a fight is endlessly amusing. And finally, the arena of air hockey is many people’s first introduction to the basic skills of ice hockey. 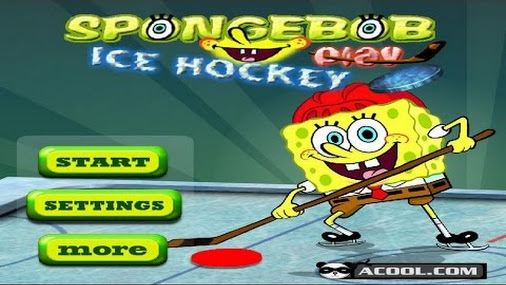 With this in mind, the SpongeBob Squarepants Ice Hockey game provides a gloriously silly interpretation of the sport with all of the colourful characters that you’d expect, and some very simple controls so that you can focus on the magnificently captivating and addictive game of hockey!